“Mauritius” is a good play. Its name is enough to generate interest, as it brings to mind the picture of the Blue Island, located off the coast of South Eastern Africa and East of Madagacar. This is the first play by renowned playwright Theresa Rebeck on Broadway. Rebeck has created a clever and humorous play, with a dash of suspense. It revolves around a curmudgeonly philatelist. She is a bitter young woman, possessing a couple of rare stamps and wanting to sell them. There is also her estranged sister, who claims the stamps to be hers, and two con artists who have an eye on the stamps. The five characters of the play assume alliances, fake fickle partnerships, and twist touchy relationships in the midst of double-dealings and trickery. “Mauritius” focuses on how people deliver tough talk easily and hand out loyalties for money matters. The play is directed by Douglas Hughes, who emphasizes on the entertainment side of the play for whole two hours. Rebeck displays her usual style of devising interesting plots. In addition to this, there is a fine cast that gives its best performance onstage, making the play commendable. 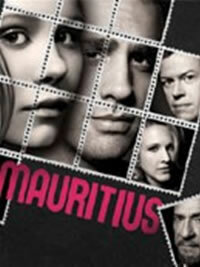 The previews of Mauritius started on September 17, 2007 at the Biltmore theatre. It opened on October 4. It is the first new show of Broadway season. The characters of half-sisters are played splendidly by Katie Finneran and Alison Pill. In the story, the sisters’ mother passes away and leaves behind a couple of rare stamps. Three men are overly interested in these stamps, as they know the dealing would mean a million bucks in their pockets. Dylan Baker, F. Murray, and Bobby Cannavale play the three men. Mauritius can be rightly said as a family drama with a twist. The ensemble by the director is noticeable, along with the contributions of other members of the creative team. “Mauritius” is a juicy play, with an intricate tug of war for two rare stamps. Robert Odenweller as well as David Petruzelli has made sure that the language and the situations in the story look letter-perfect, when it comes to the discussion of stamps and their collection onstage. The whole two hours of the show revolve around stamps and their possession. Moreover, it throws light into the constricted world of stamps. The biggest question that this play poses is regarding the authenticity of stamps, or anything, for that matter. Another thing to ponder is about determining the value of something we own. Mauritius is not just any other play. It’s a play about possessions, authenticity, and imparting value to things that we possess. It’s a play that everyone should watch. And for that, the best thing to do is contact ticketing services and get your choice show tickets without efforts. So, are you ready to explore the world of stamps?